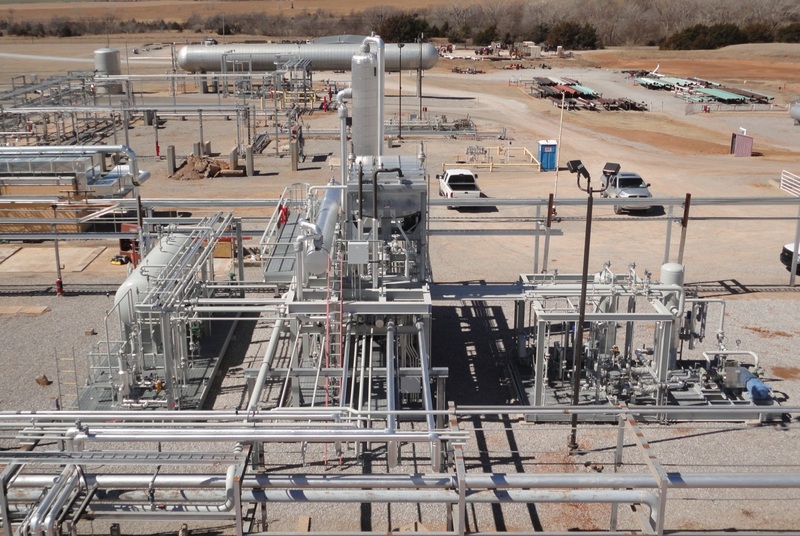 S-Con has the ability to design and fabricate Condensate Stabilizer Plants, ranging in size from 800 bbl/day to 40,000 bbl/day and meeting all product specifications. Condensate Stabilizers are typically used to fractionate, or “stabilize”, raw field condensate liquid that is created when low pressure natural gas streams are compressed and then cooled. The liquid is collected, free water is removed, and then the hydrocarbon is fractionated to deliver a “light-end” overhead vapor product and a “heavy-end” bottoms liquid product. The Overhead Vapor is generally used for Fuel Gas or routed back into the Compressor suction for reprocessing. The Bottoms Liquid is typically mixed with a crude oil stream, or sold as crude on its own.